This is the OFFICIAL store for Elite Ops Gaming. Shipping to United States only. If you live outside the U.S. you may contact us or message me (EOG Jorey) and we can sell you items in our store but there will be a shipping fee you will need to pay for us to ship outside the U.S. IMPORTANT: We no longer sell our clothing on our website. 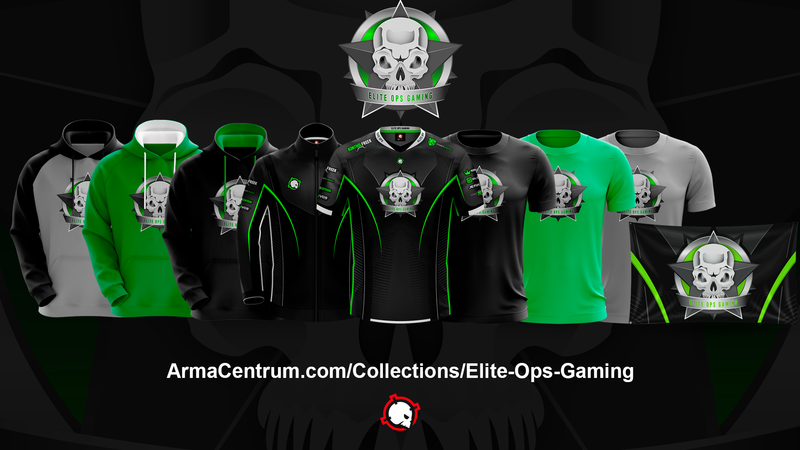 Visit our Pro Store with ArmaCentrum by clicking the image below to be redirected! All purchases are FINAL. No refunds will be given after you purchase an item. Click the banner below to purchase our apparel!